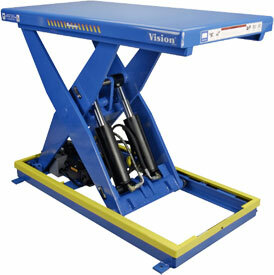 Bishamon Vision lift tables incorporate design features that provide unequaled performance and safety. They are versatile and heavy-duty work positioners that comply with ANSI standards as well as most requirements of the European CE standard for lift tables. They meet or exceed the required safety clearances on guards, as well as performance and stability requirements. Please Note: The Vision Series has been DISCONTINUED and is for referance and parts only. It has been replaced by Bishamon's Optimus Series. 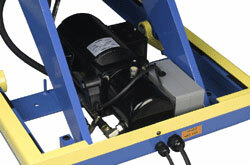 Complies with ANSI MH 29.1 1-2003 "Safety Requirements for Industrial Scissor Lifts"